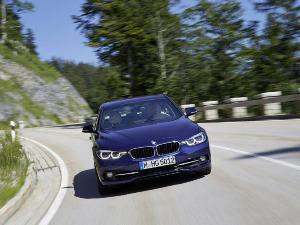 There’s no doubt about it: The BMW 3 Series is a great little car, BMW’s best-seller of all time. 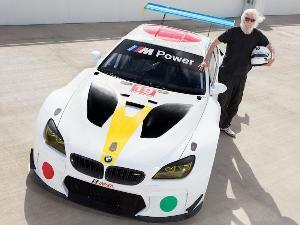 In the mid-1970s, BMW found itself under the gun to produce a worthy successor to its 2002 model. In 1975, the brand revealed the 3 Series, an evolutionary vehicle that carried over many of the 2002’s merits to a marginally larger platform. It's been improving ever since, and it is widely considered a class leader among compact luxury cars. 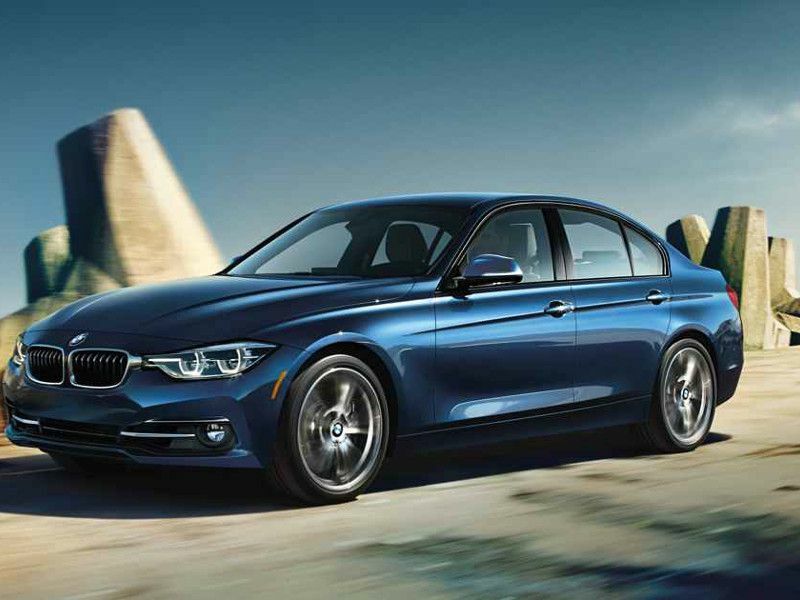 The 2018 BMW 3 Series is available in three body styles: a sedan starting at $34,900, a station wagon starting at $44,650, and the five-door Gran Turismo starting at $45,040. 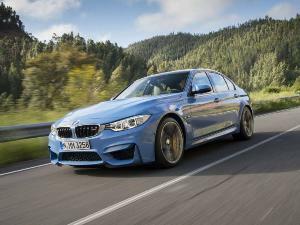 The high-performance M3 sedan starts at $66,500. The 3 Series’ popularity and capability have spawned a host of competitive vehicles over the course of its 40-plus years on U.S. roads, and here are 10 of its competitors to consider. Why can’t Acura get more love right now? 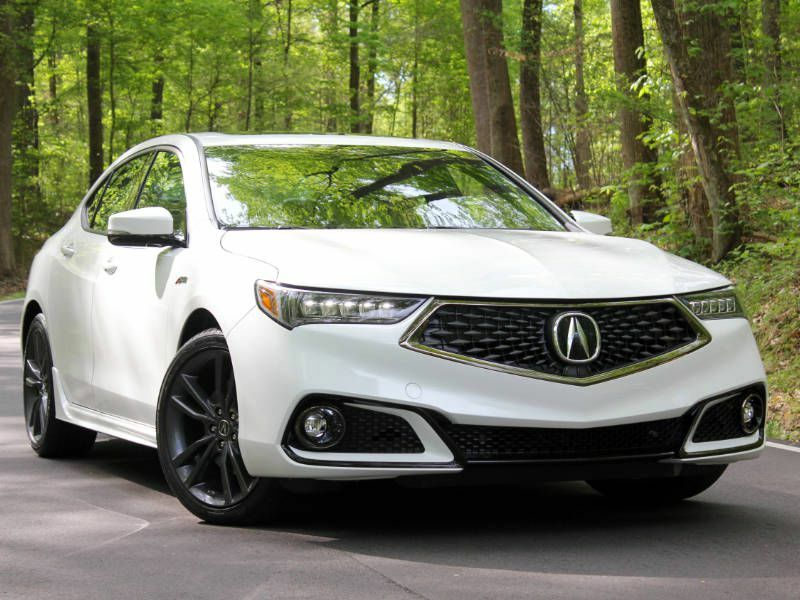 Often overlooked, the 2018 Acura TLX (starting at $33,000) is a technology-packed compact sedan with a snappy design and a modern, luxurious interior. Featuring a 206-horsepower 2.4-liter inline four-cylinder engine or a 290-hp 3.5-liter V6, the TLX is available either with front-wheel drive and all-wheel steering, or with all-wheel drive. V6 models use variable cylinder management and idle stop to optimize fuel economy, along with a nine-speed automatic transmission and paddle shifters. 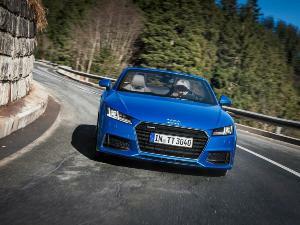 Four-cylinders use an eight-speed dual-clutch automatic transmission. The inclusion of Acura’s signature “Jewel Eye” LED headlights adds an extra snap to the TLX’s front end, along with enhanced functionality. Alfa Romeo’s return to the United States began with the mini-supercar 4C Spider, and the assault has continued with the Stelvio crossover vehicle and the 2018 Alfa Romeo Giulia sport sedan, which is available in three trim levels: base ($38,195), TI ($40,195), and Quadrifoglio ($73,700). 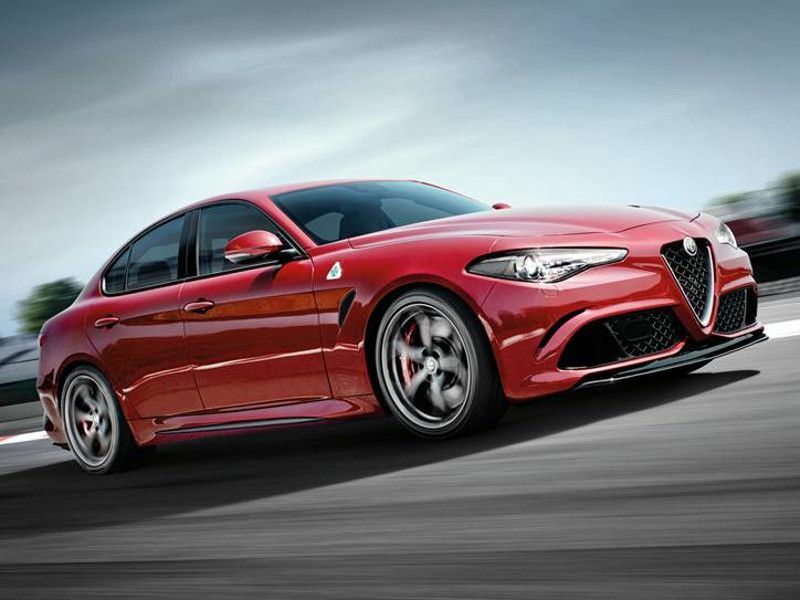 Alfa uses turbochargers to boost the Giulia’s performance, deploying a single turbo on the 2.0-liter direct-injected inline four-cylinder engine in the base and TI, and twin turbos on the 2.9-liter direct-injected V6 in the Quadrifoglio. The Giulia’s exterior drips with Italian style, and its interior features tailored materials and patterns from Milan. There’s something about the lusty exhaust note from the Giulia that sets hearts racing in the way that few 3 Series models can. In some ways, Audi always harbored an inferiority complex when it measured itself against the BMW 3 Series. That changed when Audi decided to concentrate on its strengths. The 2018 A4 (starting at $36,000 with front-wheel drive) demonstrates what Audi does best: striking exterior design, a Bauhaus-inspired interior, sharp handling, lively engines, and innovative technology options. 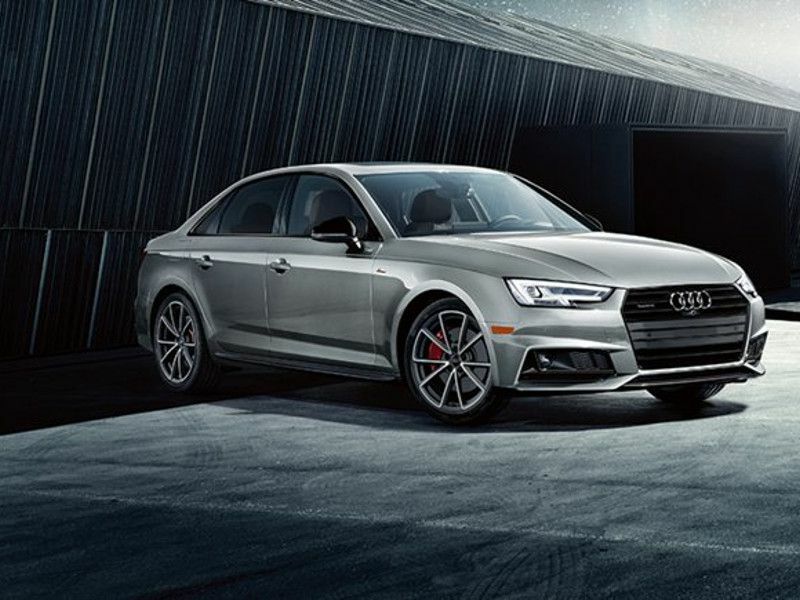 The A4 Premium trim (starting at $40,500) comes with a 2.0-liter turbocharged direct-injection gasoline engine, a seven-speed dual-clutch automatic transmission or six-speed manual transmission, and Audi's Quattro all-wheel drive. Audi’s MMI infotainment interface is available on the A4, along with the company's stunning Virtual Cockpit feature and a 19-speaker, 755-watt Bang & Olufsen sound system with 3D sound. Cadillac may be in the midst of a management shakeup and some marketing confusion, but its product lineup is one of the best the brand has ever fielded. 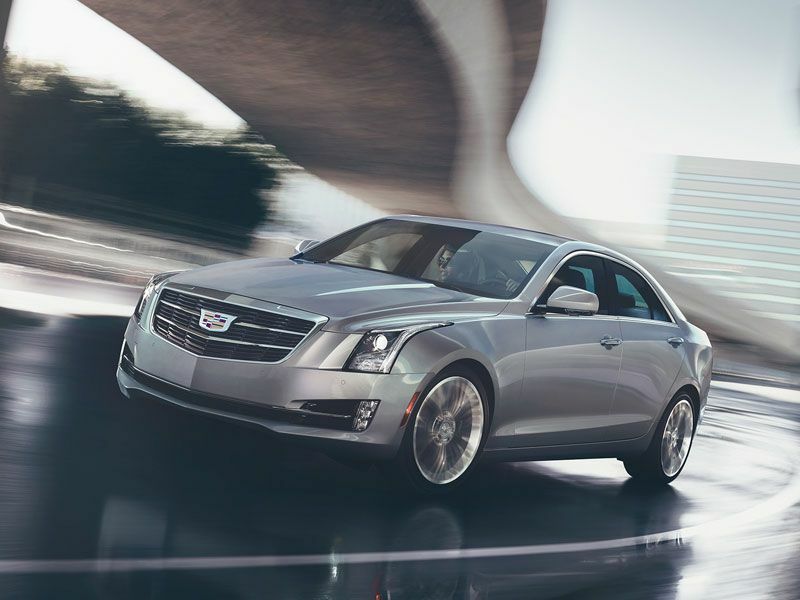 One of the highlights is the 2018 ATS, a sports sedan that many reviewers have rated above the BMW 3 Series in recent tests, particularly in its high-performance variant, the ATS-V.
With prices starting at $36,490, the base ATS sports a potent 272-hp 2.0-liter inline four-cylinder engine, an eight-speed automatic or six-speed manual transmission, and rear-wheel or all-wheel drive. The exterior design is crisp and sharp-edged, conforming with the current Cadillac design theme. The interior is comfortable and appropriately purposeful and sporty, not plush or overstuffed. 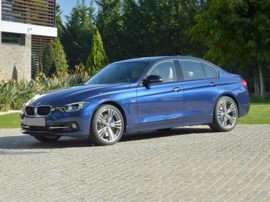 Clearly, this is a sedan aimed at the European paradigm — and the 3 Series specifically. In the alphabet soup of car names, the Infiniti Q50 evolved from the G35 and G37, the brand's first major 3 Series fighter. It has emerged as a finely honed challenger with a broad expanse of 12 trim levels, from the rear-wheel-drive 2.0t Pure (starting at $35,200) to the top-of-the-line Red Sport 400 AWD (starting at $53,000). With a 3.0-liter twin-turbocharged V6 engine, the Red Sport manages to hit the elusive 400-hp peak of power. 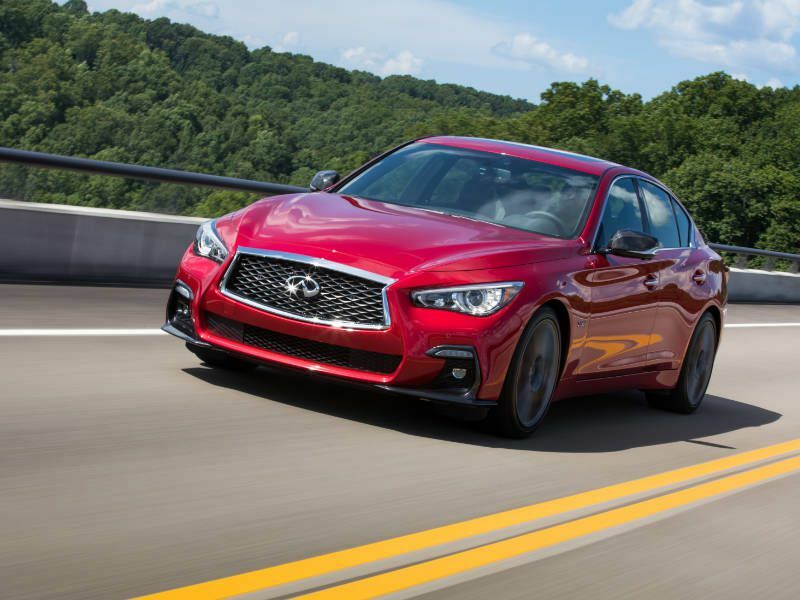 Infiniti has tweaked and tuned the Q50’s chassis, suspension and braking to deliver perfect balance, making the sedan a canyon carver and enthusiast’s delight. The Q50’s interior design and execution puts it over the top, with some of the most finely crafted details in the class. Ever since Jaguar escaped from beneath the thumb of Ford to the pocket of Tata, it has experienced explosive growth and product development. The XE is the latest sedan to join the Jaguar lineup, the first compact sedan built on a new Jaguar platform. 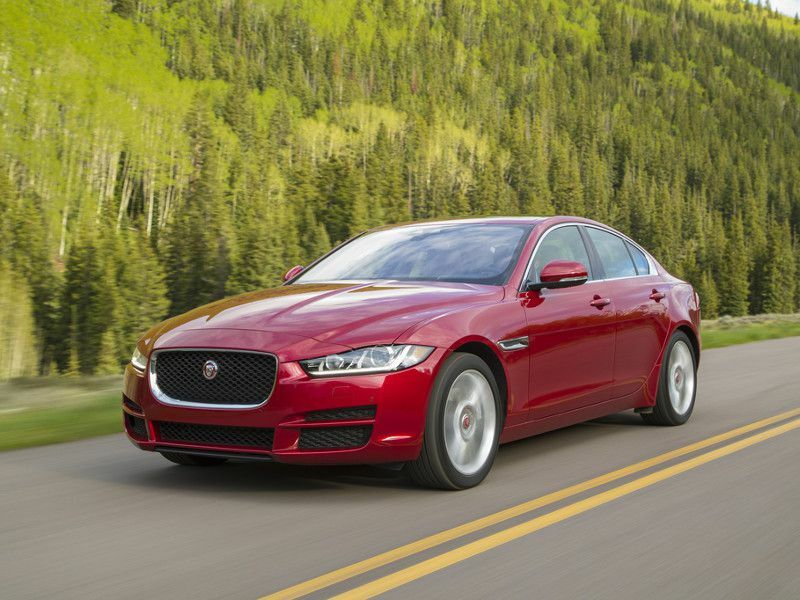 Starting at $35,725, the XE is a British attack on the flanks of BMW 3 Series dominance. With an expressive exterior that borrows cues from other current Jags, the XE displays the assertive stance that enthusiasts desire in a sports sedan. Aluminum body construction helps the XE achieve 50/50 front/rear balance and a light weight. Predictive traction control seeks to maintain traction rather than wait to regain lost traction. Efficient small turbo engines, diesel powerplants, and supercharged V6 gasoline engines are all available, providing XE buyers with a choice of character and performance. Lexus has been pushing against the stone of its staid reputation for a while now, and it’s starting to move with the rising profile of F Sport trim levels and the new LC sports car. 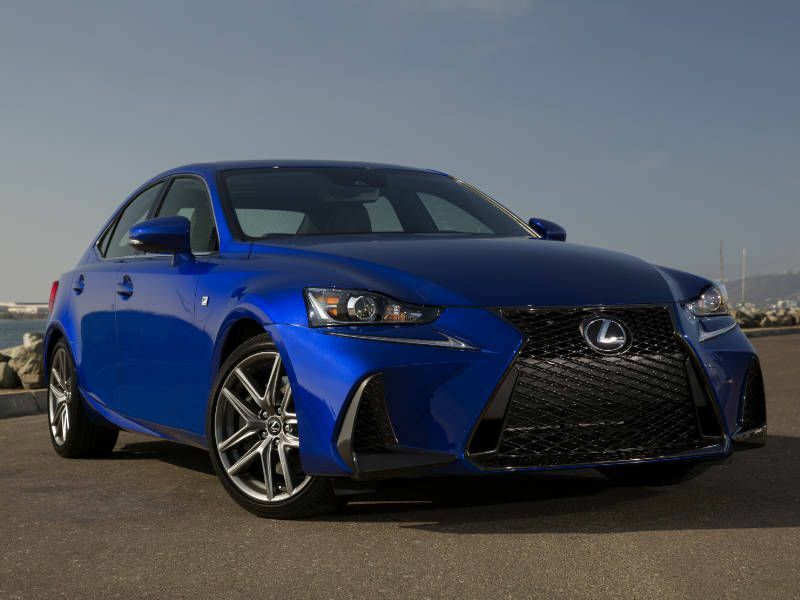 The 2018 Lexus IS (starting at $38,210) participates in the push as well, with its assertive, low-slung exterior design, and sporting performance character. Starting with a big-mouth version of Lexus' signature spindle grille, the IS has a long hood, low roof, and swooping body. Under that hood can be found either a 241-hp turbocharged 2.0-liter inline four-cylinder engine or a naturally aspirated (non-turbo) 3.5-liter V6 featuring either a 260 or 311 horsepower. Rear-wheel drive is standard, with all-wheel drive also available. F Sport models get special body, trim, and suspension bits for improved appearance and performance. This is not your father’s Lexus. This is a BMW 3 Series competitor. Though it is not in the luxury field, the 2018 Mazda6 is a dark horse candidate to oppose the BMW 3 Series thanks to its superior handling and classy design. Starting at just $21,950 in Sport trim and $34,750 in top-of-the-line Signature trim, the mid-size Mazda6 comes very well-equipped. 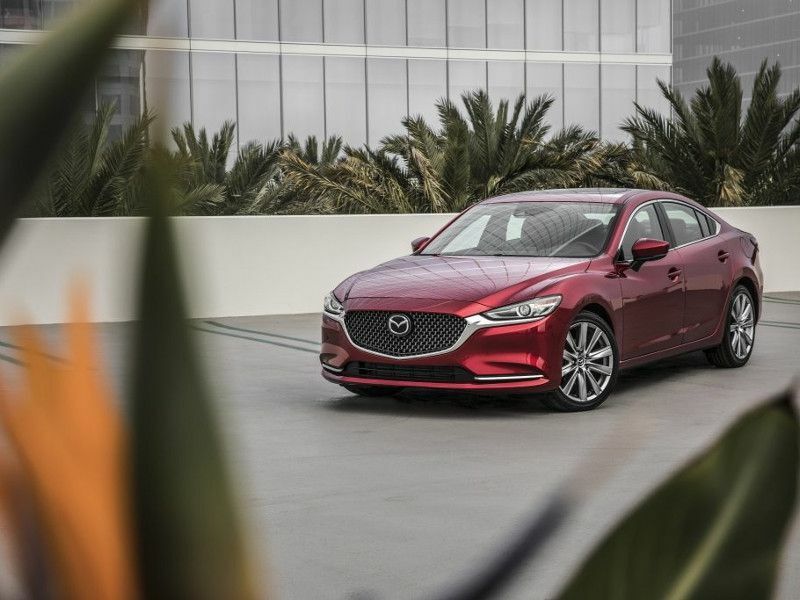 Updated for 2018, the Mazda6 is now offered with a turbocharged 250-hp 2.5-liter four-cylinder engine. The car also uses Mazda's SkyActiv Vehicle Dynamics with G-Vectoring Control for superior cornering and handling. Luxury interior features like real Sen wood trim, Nappa leather sport seats, Ultrasuede door and dashboard inserts, and a black headliner blur the distinction between the mainstream and luxury classes. Mazda’s “Zoom-Zoom” mantra is alive and well in the 2018 Mazda6. Like Lexus, Mercedes-Benz has battled the “stodgy” label by providing steadily more style and performance over the years. Today's C-Class has evolved into a stunning example of automotive design. This sedan looks like it has just driven through a barrier with its battering ram grille, sleek, wind-swept body and cat’s eye headlights. 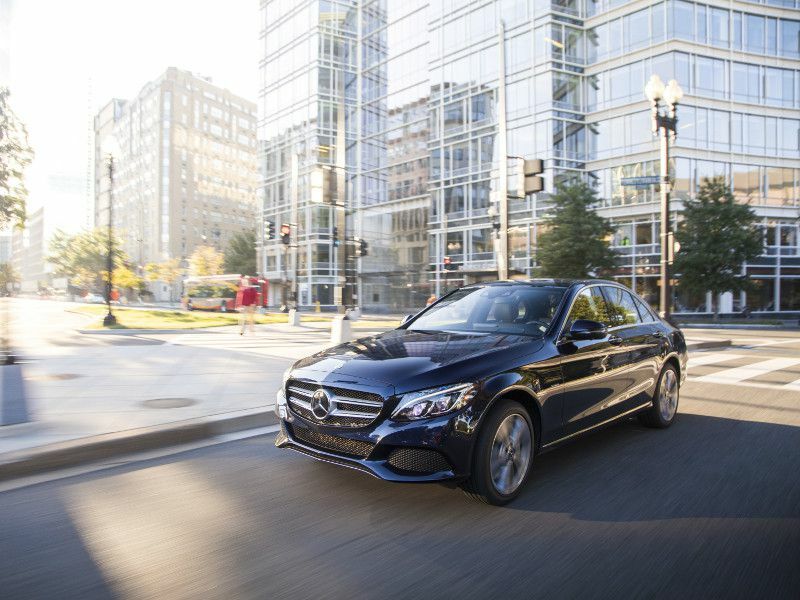 If successful car design captures motion in metal, the C-Class defines the art in sedan form. 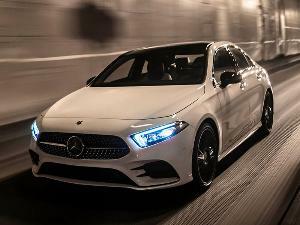 Starting at $40,250 as the C 300 sedan, the C-Class lineup includes the C 350e plug-in hybrid and the high-performance AMG C 43 ($53,400), AMG C 63 ($66,100) and AMG C 63 S ($73,700), along with coupe and convertible variants. Stodgy no more, the C-Class lineup has an answer to every question that the BMW 3 Series might ask. Another escapee brand from the Ford, Volvo is now owned by Geely Automobile Holdings of Zhenjiang, China. Much like Jaguar, Volvo was tethered to Ford platforms for years, and it's now able to develop its own vehicle architectures and powertrains. 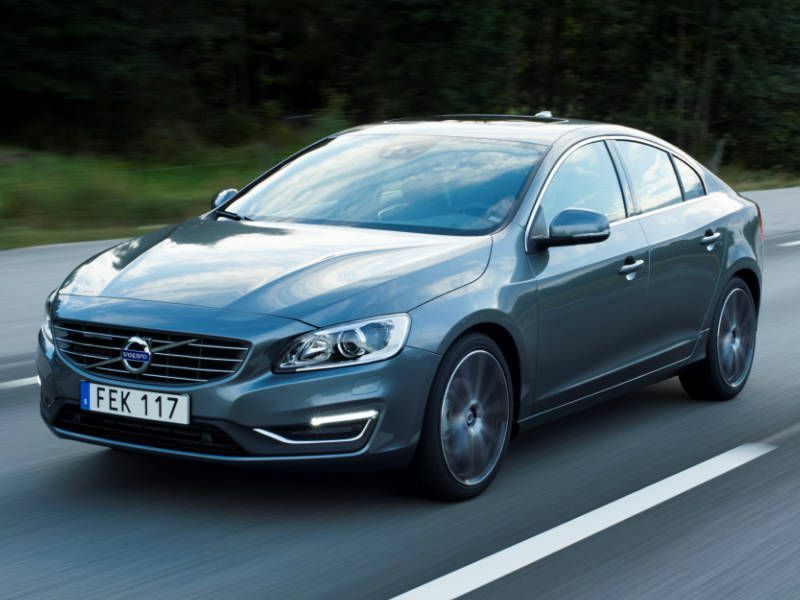 The 2018 S60 has benefitted from Volvo’s upgraded level of design and production, and it's now a true luxury sport sedan — and a worthy competitor to the BMW 3 Series. With prices starting at $34,100 (for the Dynamic trim), $36,950 (Inscription), $44,350 (Cross Country), $47,550 (R-Design), and $60,000 (Polestar), the S60 offers sporting looks and performance with a 2.0-liter four-cylinder engine making between 240 and 362 horsepower.